We are used to thinking of bullying as something that happens to children. 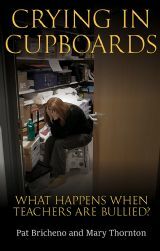 This book tells a story which has become all too familiar in English schools: managerial bullying of teachers as a consequence of a ruthless accountability system. Based on interviews with the victims, it reveals some graphic personal stories of what this feels like. These are accounts of repeated observations, threats of “leave or we’ll put you through Capability”, vindictive behaviour, petty regulations designed to catch people out, arbitrary and impossible workload demands, re-assignment to marginal or unsuitable work roles, verbal attacks in front of others, and finally teachers falling ill and descending into months of depression. These are not only the stories of people who ‘fail to deliver’ what the system demands. They include teachers hitherto labelled ‘good’ or ‘outstanding’ but who are deliberately picked off so that the school can hire newcomers on low salaries. As well as shorter extracts from interviews, several chapters are devoted to individual teachers’ complete stories. “It had started just a term into her Headship. There had been no observations beforehand; it came out of the blue… The Head came into my room at 8.25am and closed the door, saying she wanted to talk to me; she told me I was a rubbish teacher. I should think about looking for another school, another job, maybe teaching wasn’t the career for me… Then she left saying ‘Think about what I said. I’ll talk to you in a few days’. She left, my room with 5 minutes to go until school started; I only just managed to hold myself together to teach the kids. This teacher leaves, her confidence broken, but eventually after a few days’ successful supply work, her qualities are recognised once more. She is soon asked to join the management team of her new school. A happy ending. Another primary school teacher is one of four out of a staff of six subjected to bullying by a new head who is out to make his mark. He has only three years’ teaching experience, having been a manager in industry. The four victims of his bullying have 100 years between them. If the book only served to bear witness to such (literally) sickening behaviour, it would have done a good job. It does much more. Firstly it explains how such management behaviour, though inexcusable, is a consequence of a ruthless accountability system. Secondly, the teachers’ stories are followed by comments from experienced heads, who explain ways in which the perpetrators should have dealt with the pressures and threats they themselves face without passing them onto others. Finally come detailed comments and advice from union officials about strategies for defending members. Sadly they encounter many situations where a teacher’s colleagues are unwilling to put their heads above the parapet. An important strategy is to survey all staff and collect enough evidence to confront and warn the school management and subsequently raise matters with the governing body. The strongest response to bullying is for staff to stand together, such as taking out a collective grievance. This book deserves to be widely read. 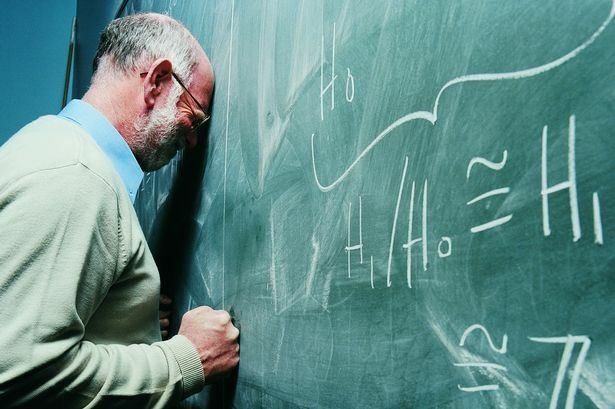 It is a resource which could help teachers subjected to oppressive behaviour to name the problem, rather than internalising the accusation that they are professionally inadequate. It is important for conscientious school managers to help them avoid passing pressures down the line. Last but not least, this book offers a set of case studies which could be used in training for union representatives at all levels. This entry was posted in Teachers and tagged accountability pressures, bullying, governors, workload. Bookmark the permalink.